The flash flooding that occurred on Halloween of this year devastated several southeast Austin neighborhoods, but perhaps none more so than the neighborhood surrounding Onion Creek. According to City of Austin officials, the creek rose to a record high of 41 feet and the peak flow rate of 134,000 cubic feet per second was significantly higher than the average flow rate of Niagara Falls. Many homes were damaged or destroyed, and four people lost their lives as a result of this historic event. 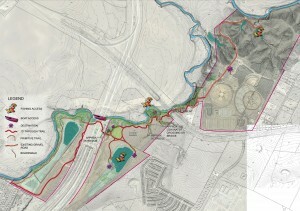 Here at RVi, we were anxious to see how our Onion Creek Greenway project faired in the flood. Phase I of the 4.5 mile trail is nearing the end of construction and was about 95% complete on Halloween. 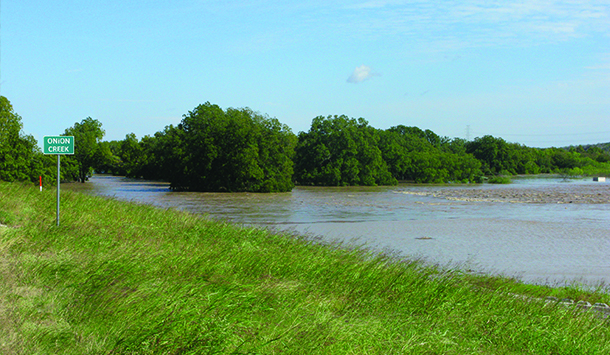 Much of the Onion Creek Greenway is located within the 100-year floodplain. It is not uncommon for parks and trails to be located in the floodplain because they tread lightly on the land and they bring outdoor enthusiasts close to the water’s edge, making the most of a beautiful natural setting. Earlier this month, RVi’s Chris Lalich and Paul Cozzolino visited the Onion Creek Greenway site along with other members of the project team and representatives from Travis County. 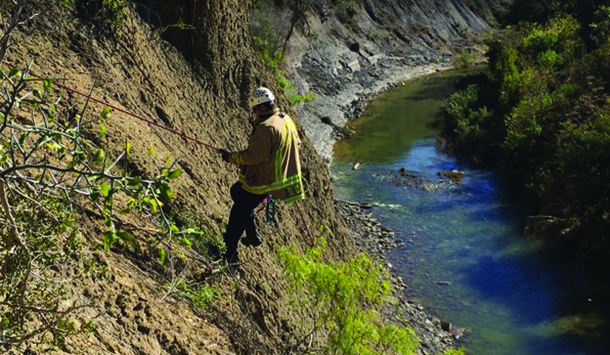 Luckily, the team found no serious damage to the project – but they did find an unlikely visitor on site: a lost German shepherd named Max, who was stranded in the creek. 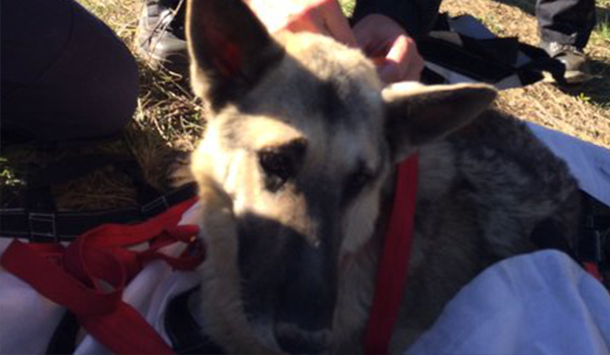 The team called in Austin firefighters, who were able to save Max and return him to his owner.